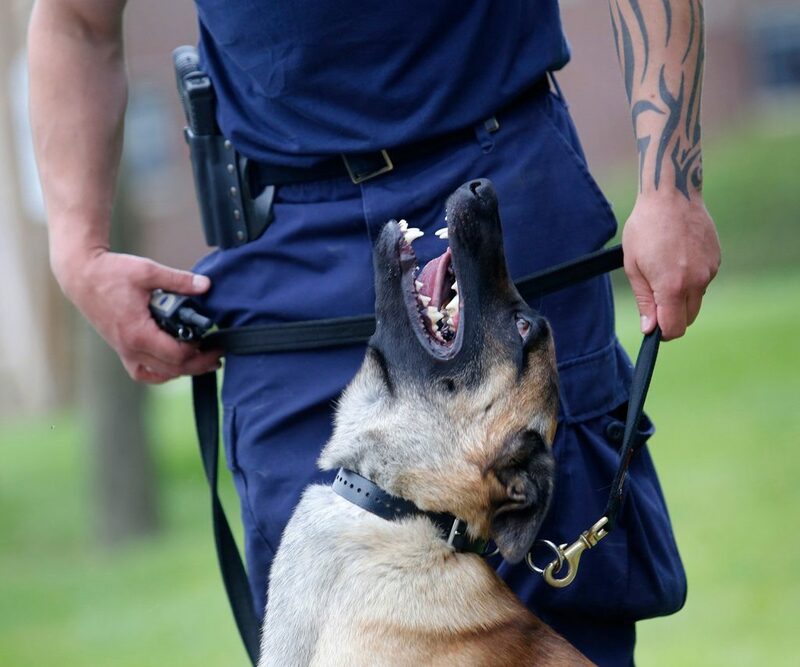 Five years after the retirement of the department's first police dog, a 15-month-old Belgian Malinois will now accompany Officer Joshua Robinson on calls. VASSALBORO — After five years, the Yarmouth Police Department will welcome to its ranks a new, specially trained member – and he takes payment in kibble. 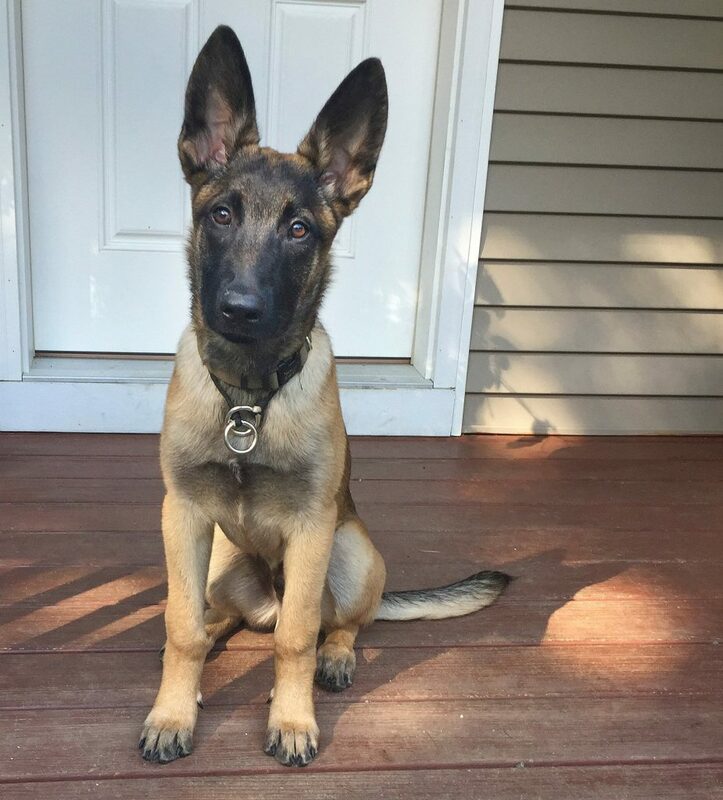 After 14 weeks of study, a 15-month-old Belgian Malinois named Matrix will join Officer Joshua Robinson on patrol around town. 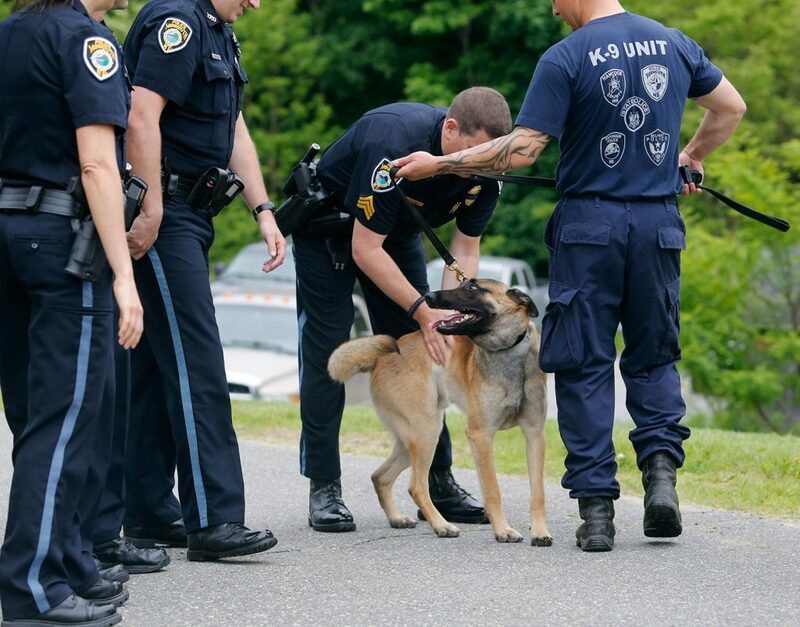 The addition of Matrix to the force completes a career goal for Robinson, and ushers in a second era for Yarmouth police, whose first K-9, a German shepherd named Sultan, retired in 2012 after serving the department for nearly a decade and had to be euthanized at age 13 in 2015. 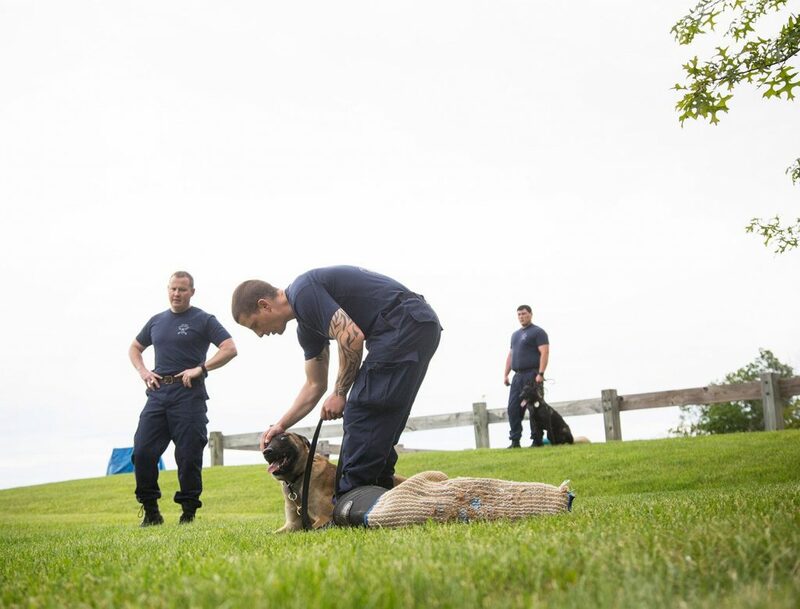 Robinson and Matrix were among a small class of dogs and handlers that graduated Friday from a 14-week training program at the Maine Criminal Justice Academy, where family members and friends of the handlers watched as the graduates showed off some of their new skills. The solemn farewell ceremony for Sultan, in which dozens of officers and firefighters participated on a blisteringly cold day in February 2015, highlighted Yarmouth’s K-9 program and its need for a new dog. The story of Sultan’s death resonated around the world, drawing notes of sympathy and donations from all over, said Yarmouth Sgt. Dan Gallant, who attended Matrix’s graduation in Vassalboro. Following Sultan’s last farewell, community members and businesses pitched in more than $15,000, helping the town defray the costs of purchasing Matrix from a specialty breeder, acquiring a new K-9-ready cruiser, outfitting it with special equipment to help Matrix stay comfortable during his work day, and training him for Yarmouth’s needs. 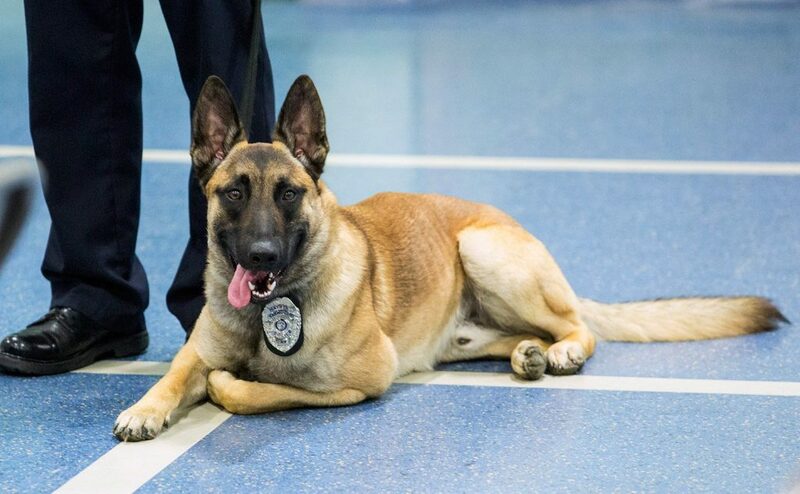 While Sultan was bred and raised in France and understood only French commands until he was retrained, Matrix is a Mainer, bred by Portland-based North Edge K9, a training and breeding company run by Portland Police Officer Christian Stickney. 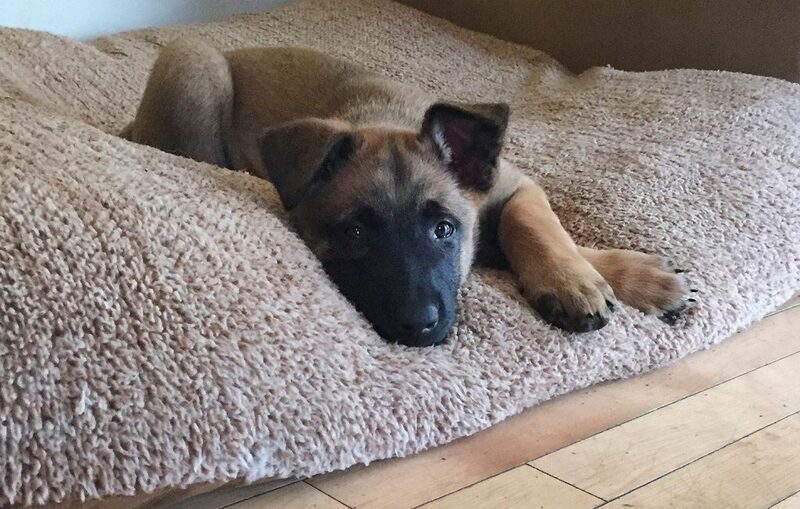 Jay Cooley, a Maine State Police handler, raised Matrix from the time he was a fluffy, 9-week-old pup. 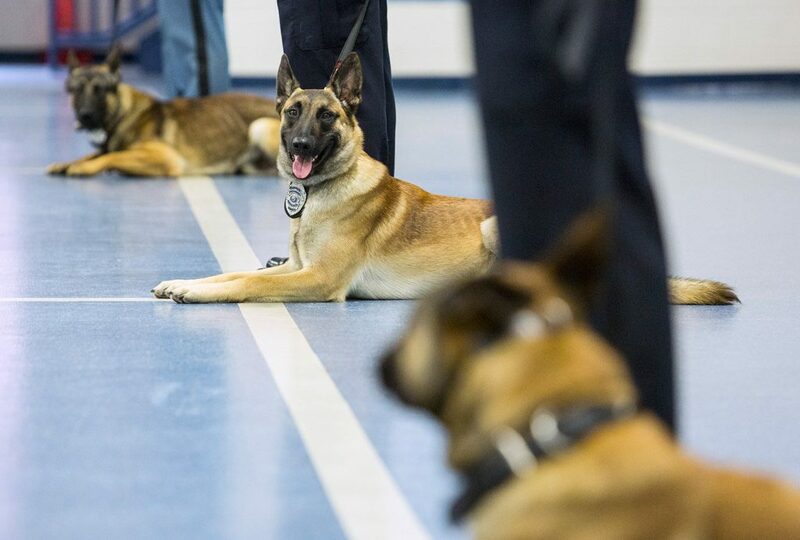 Cooley said the early training time was nearly as important as the tactical skills taught at the criminal justice academy, especially considering where Matrix is destined to work. Yarmouth’s leafy, small-town atmosphere means that much of Matrix’s life will be spent interacting peacefully with residents, attending public events and working with kids. Robinson said the dog is already a part of his family, having lived at his home with him, his wife, Sonie, and their two children, ages 6 and 4. Sonie is happy her husband now has a partner 24-7 and has the chance to fulfill a personal goal. 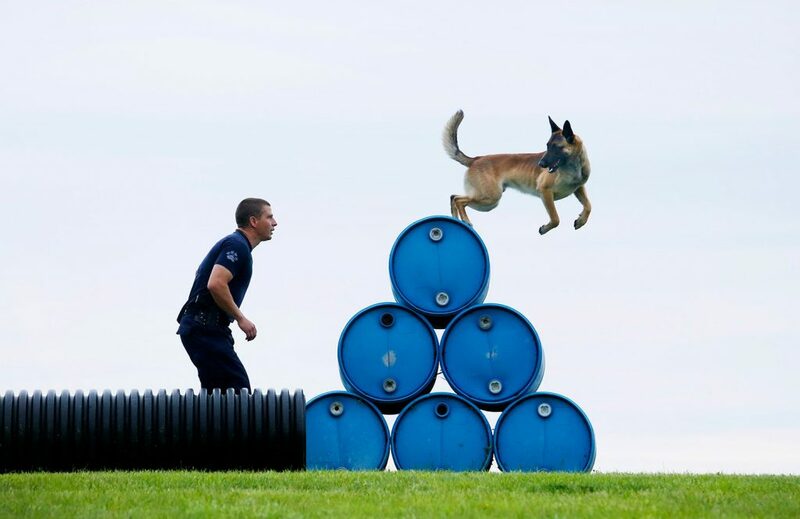 “Before he even became a police officer, his dream was to be a K-9 handler,” Sonie Robinson said. And officers from around the region can call on Matrix to assist them, too. After Matrix and Robinson attend a four-week drug search course in August, they can be called upon to look for narcotics. 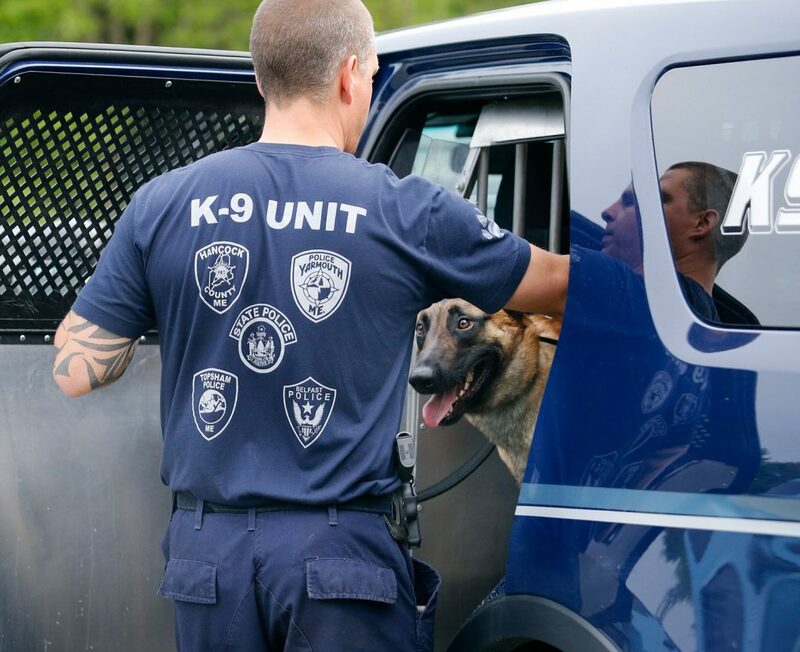 Sultan and his handler, former Yarmouth officer Mike Vogel, answered more than 1,000 calls, capturing dozens of suspects, untold amounts of cash and more than 100 pounds of narcotics.